Having a baby is a chance for at-risk mothers to turn their lives around. 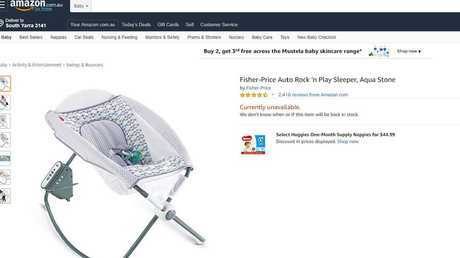 A Fisher-Price baby sleeper has disappeared from a number of Aussie online retailers after the Australian Competition and Consumer Commission warned against the product, and a recall was issued in the U.S. The Fisher-Price Rock N' Play Sleeper has been linked to 32 sleep-related infant deaths in the US, and has been called "deadly" by the American Academy of Paediatrics (AAP). "This product is deadly and should be recalled immediately," said Dr. Kyle Yasuda, president of the AAP. "When parents purchase a product for their baby or child, many assume that if it's being sold in a store, it must be safe to use. "Tragically, that is not the case. There is convincing evidence that the Rock N' Play inclined sleeper puts infants' lives at risk, and CPSC (Consumer Product Safety Commission) must step up and take immediate action to remove it from stores and prevent further tragedies. 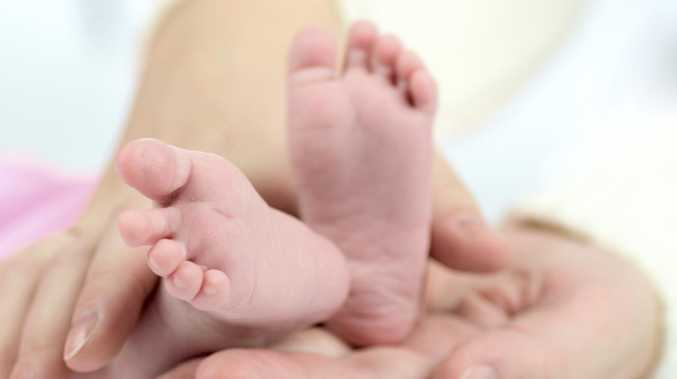 Following the advice from the AAP, the American CPSC issued a recall of the products, citing analysis that linked the sleeper to the deaths of 32 babies. In Australia, last week the ACCC said it wasn't aware of any injuries or deaths of Australian babies using the Fisher-Price sleeper, but an investigation was underway "as a matter of priority". The ACCC urges parents with this product to keep it out of reach of children," the spokesman told the Sydney Morning Herald. "We are always concerned by reports such as those we are seeing from the US." 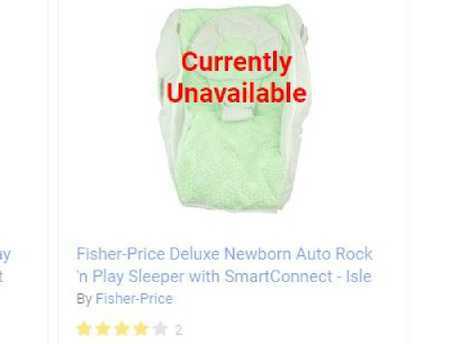 While a recall in Australia has not been formally announced by Fisher-Price Mattel, the Rock N' Play Sleeper has disappeared from a number of local online retailers, including Amazon, Fishpond, Target and Ubuy Australia. Listings of the dangerous sleeper on Amazon read "currently unavailable". The product also seems to have been pulled from Aussie website Fishpond. The danger caused by the product was detailed in a joint-statement released by CPSC and Fisher-Price Mattel when announcing the recall in the US on April 5. Danger in the sleeper begins when infants start to roll over, which, according to the statement begins at about three months. At the time of the statement being released the "CPSC (was) aware of 10 infant deaths in the Rock 'n Play" that had occured since 2015, according to the statement. While the statement didn't go into detail about how the babies had died, analysis from Consumer Reports magazine said some of the infants had asphyxiated, or been unable to breathe, because of their position in the sleeper, according to US ABC News. The AAP said inclined sleeping positions require restraining babies and put them at risk of choking. The AAP advises against using car seats, strollers or other devices for sleep," the specialist body said, "because of the risk that a baby could roll or turn into an unsafe position and be incapable of moving, leading to suffocation or strangulation." Fisher-Price Mattel did not immediately respond when contacted by news.com.au.